Lisa Becksford – Librarianship, instructional design, learning for all. Librarianship, instructional design, learning for all. It’s Thursday night. Tomorrow will be the final day of the Digital Pedagogy Lab. And I’ve created a thing. A couple of things, actually, all combined into one product. Here’s the story (pun? intended. Is that a pun?) of its creation. The project as I initially imagined it is somewhat different from the final project. I’ve always been fascinated by past visions of the future – what did prognosticators in the past imagine life would be like in the future? As evidenced by my notes, my initial vision included such content. I also could see this taking shape as a multimodal story – text, video, audio, images. I wanted to contrast visions of the future with a present utopia that is supposed to be utopia, but is absolutely not. However, as I started to look for content, I hit a wall. I simply couldn’t find enough. I found plenty of scans of old magazines predicting the future, but I didn’t want to limit myself to that content. I was starting to feel a little bit desperate (my internal monologue: I’ll have nothing to show for a week’s worth of work! Is it too late to switch topics? I should switch topics. I take a lot of pictures of trees – maybe there’s something I can do with them? But, utopia!). But then a word I had written in my brainstorming stood out to me: propaganda. What would a propaganda film for utopia look like? 1950s educational films, of course. I chatted with our instructor, Martha, about how to approach the project, and she recommended looking at archive.org for public domain videos. Even though I normally do scripting and storyboarding electronically for instructional videos, I really liked plotting this script by hand. Altogether, I used clips from 5 public domain films found on archive.org. I recorded the audio using a portable recorder and brought it into Audacity, where I did some editing to make it sound more like an old-timey film narrator (nothing like trying to make the sound quality of my audio worse). I brought the audio clip into iMovie and did a bit of editing to lower the volume and make it fade in and out and play a bit louder when there was no narration. Last of all, I uploaded the video to YouTube and captioned it. I was amused that YouTube flagged a portion of the audio as copyrighted. I mean, it’s a song digitized from an old phonograph record – who’s getting royalties from that? Since the only consequence was the possibility of ads, I didn’t contest it. But I know I’m right – it’s out of copyright! Video editing is one of those things that I can get lost in – I start working and before I know it, my laptop is dying and I realize I’ve been doing it for hours. That’s the feeling I had on this project. Even though I can think of all the ways it could have been different if I just [insert something likely impossible or impractical here], I loved creating the story and imagining the possibilities inherent in digital storytelling. 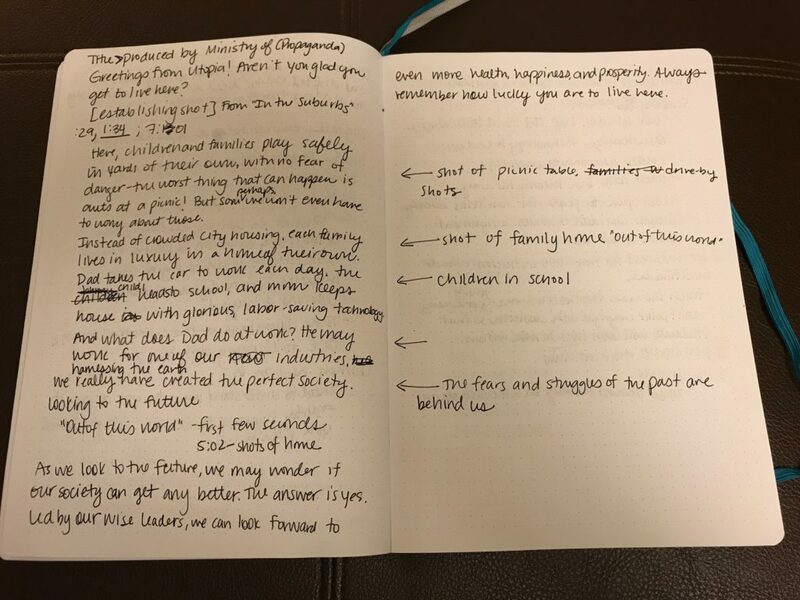 I hope to follow up with some thoughts on how I can incorporate what I’ve learned this week into my teaching and into my personal creative habits. But for now…greetings from Utopia. I started out at the visual table and began with trying the Photoblitz activity. A lot of fun, but I didn’t produce anything that really seemed great for sharing. So I moved on to the 5 photo story activity and found Unsplash photos to tell the story that I told on the first day of the workshop, of the time I was a bridesmaid in a wedding and 30 minutes late to the reception. As I’m writing this at the end of the day, I’m pleasantly tired after two days at DigiPed and my brain is a little fuzzy, so the takeaway I’m describing here isn’t earthshattering. In trying to think about what I’ve learned, I think the biggest takeaway so far is the huge number of digital storytelling possibilities. My view of digital storytelling was a bit limited before – I was thinking primarily of video and audio in more traditional narrative or documentary format, but after today I can see all sorts of creative possibilities that incorporate audio and video, but in almost limitless ways. 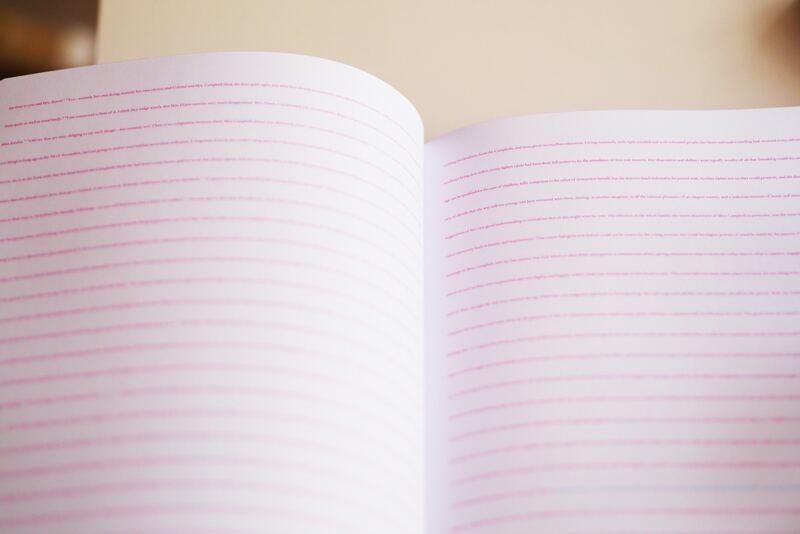 Like a brand-new notebook just waiting to be written in, the possibilities are endless. I’m excited to try new things! My experience after conferences and professional development workshops usually follows a similar pattern – at the conference, I’m really excited about all of the new ideas that I’ve encountered. I have grand plans of how I’m going to transform my teaching, my work, or hey, even my life, and everything seems possible. But sometime in the after, the enthusiasm dies and I get overwhelmed by the day to day, and the grand plans are forgotten. I may make a few changes, but there’s no real transformation. But I want to break that pattern with the Digital Pedagogy Lab Institute. The things that I’ve learned here aren’t just new and shiny ways to snazz up my instruction; they have the potential to fundamentally transform my mindset, my work, and my approach to teaching – if I let them. So here’s my action plan, my plan to break my past patterns of post-workshop inaction. So what next? I’ll go back to work next week and immediately get pulled into so many things that will demand my attention, and I’m feeling somewhat reluctant to leave the Digital Pedagogy Lab Institute and the space that it’s provided me to think about these big questions. At the same time, I’m excited about the fact that I have a place where I can put the big ideas into practice. I said above that bringing change starts with me, so that’s where my action plan begins. I was captivated by the idea of first identifying my design principles and then questioning them all the time, and I want to start there. I know that if I look at the things and learning experiences I’ve designed, I will see my implicit design principles, and I know that these may not be what I want them to be. 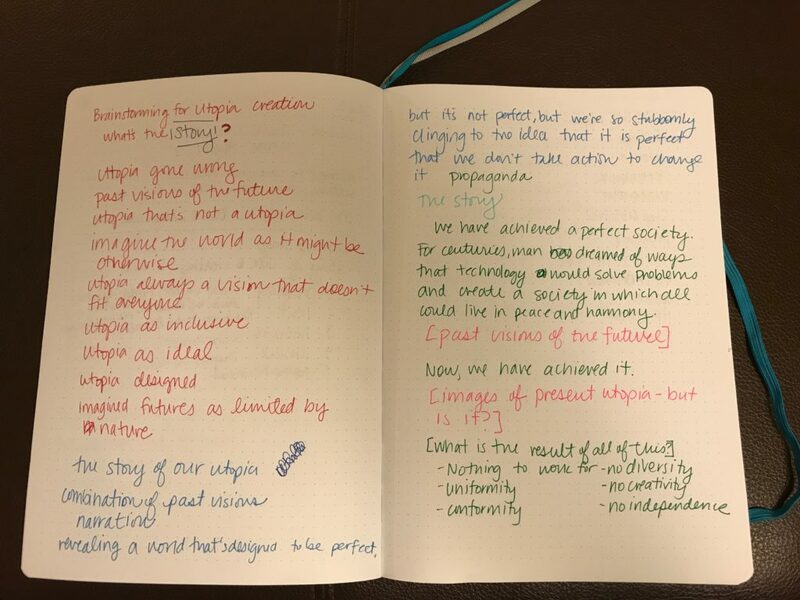 From there, I will think about the kind of teacher, librarian, and designer I want to be, how that translates into my design principles, and how I can reconcile my implicit and explicit principles. I also appreciated Sara Goldrick-Rab’s concrete advice about how we can support students struggling with their basic needs, and I plan to research what’s available for students on my campus and in my community and create a resource guide to make available to students. I also plan to add language to the syllabus for my class to support students who need help meeting their basic needs. Additionally, I need to self-educate. I have a hefty reading list already (thanks, design track! ), but if I don’t make time to actually read, those items will just be added to the long row of shoulda-coulda-wouldas on my mental bookshelf. I plan to read Sara Goldrick-Rab’s book and explore the contents of Hybrid Pedagogy for starters, and from there I will develop a plan to explore other recommendations. The semester starts at Virginia Tech just a little over two weeks from the time I’m writing this. I have several opportunities to take a critical approach to my teaching: the online class I teach, the one-shot instruction sessions that are already scheduled, and the graduate student orientation sessions that I’m coordinating. Each situation will be different, but in all of them, I can ask the important questions: why am I teaching in this way? Why am I using this technology? Am I letting the technology come first and dictate my pedagogy? Am I finding ways to encourage students’ agency? This will be hard. The fall semester is always busy, so I’ll have to find ways to remind myself to ask these questions. While the only person I have complete control over is myself, I do coordinate a team of instructional designers and librarians, two of whom also came to the Institute, but several who did not. We’re all under a lot of pressure as we launch some new initiatives and services this semester, and it would be easy to just forget some of this more cerebral stuff. But I think that these pressures make it even more important to ask these questions of ourselves and of our teaching. So I plan to walk my team through the process of thinking through their own design principles as well as the principles and values we have as a team. In all the clutter of our day-to-day work, I don’t want our aspirations to get lost. Finally, I don’t want to lose the connections that I’ve made here. I’m fortunate that three of my colleagues are here as well, and I’ve also made some great connections. I’ve already scheduled some time with my colleagues to debrief from this week, and I plan to stay engaged in the larger community of the Digital Pedagogy Lab. It’s hard to gauge the impact of a experience when you’re still having that experience, so I can’t yet say for certain exactly how my teaching and mindset will be different in the coming weeks and months. But here at the close of this week, I’m feeling optimistic. And in a world that seems to be coming unglued, a little optimism can go a long way.